Rabies is a horrible viral illness that attacks the brain. It is fatal unless rabies shots are given promptly, before symptoms appear. Transmitted through the saliva of rabid animals, rabies is spreading across North America, carried by raccoons. The first such cases of rabies were detected in West Virginia in 1977. 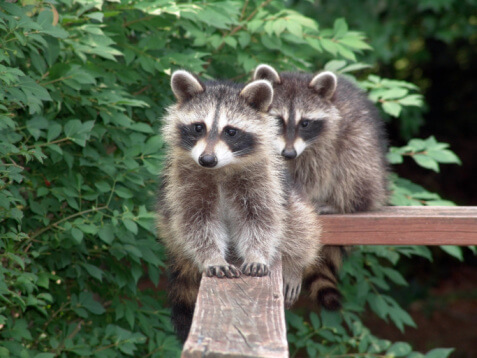 Since then, rabid raccoons have spread throughout the eastern US, including Virginia, Vermont, Ohio, North Carolina, New York, New Hampshire and Maine. Now, according to the January 21st, 2000 issue of the CDC’s Morbidity and Mortality Weekly Report, raccoon rabies has spread across the St. Lawrence River into Canada, leaving few natural barriers to its westward spread. More aggressive wildlife rabies control measures may contain the spread, but it is still wise to teach children to avoid contact with these cute but mischievous neighbors.